The theme of the 2012 itSMF Belgium conference is "Live the Business'. Over four years ago ITILv3 tried to revolutionise IT Service Management with the concept of IT -Business integration. 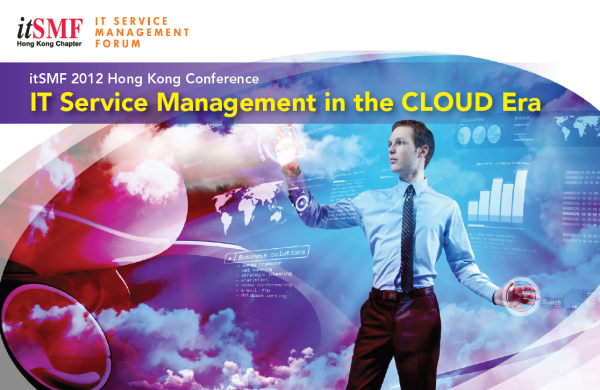 ‘Alignment' was no longer enough, IT and Service Management need to progress. We are pleased to announce the publication of the latest issue of our International Magazine "At Your Service". Please download and share, contributions for future editions can be sent to kirstie.magowan@itsmfi.org. Whether your IT organization is in the beginning or final stages of ITIL implementation, it is essential to have a service catalog that communicates the value of your organization's services. While many organizations realize that a service catalog can increase customer satisfaction and reduce operational costs, in order to achieve success, they must also understand the connection between IT initiatives and business goals. The premier ITSM event of the year is the itSMF UK Conference and Exhibition, which combines a programme of more than 40 educational sessions with a bustling ITSM exhibition and an annual awards dinner. This year the event is helpd at the Novotel London West hotel on the 7th & 8th November 2011.
itSMF UK Conference and Exhibition 2011!